ShiseidoBio-Performance LiftDynamic Serum, 1.7 oz. This multi-benefit, innovative sculpting serum supports skin's natural restorative powers to help visibly lift and firm skin for youthful-looking density. With continued use, your skin appears youthfully tightened and looks more visibly sculpted. By helping restore elasticity and moisture, skin radiates with vitality. 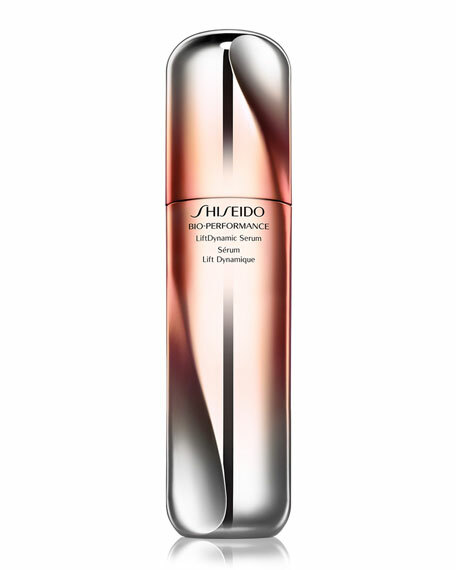 Shiseido TruStructive technology helps harness skin's natural restorative powers. Bio-Corrective Complex helps improve the appearance of sagging; loss of resilience; and visible, pronounced wrinkles.